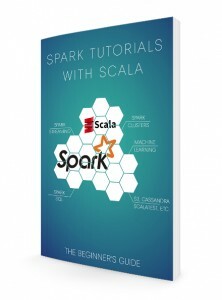 Apache Spark with Scala tutorials presented from a wide variety of perspectives. A book designed to cover the wide landscape of Apache Spark. The approach is hands-on with access to source code downloads and screencasts of running examples. Get ready to learn by examples! Who is a tutorial cookbook for? This book is suitable for beginners with no Spark or Scala experience, but some background in programming and/or databases. It’s a beginner book, but not for people brand new to development or data engineering. This book is designed for people to augment their existing skills to advance their career and/or make better data-intensive products. By the end of this book, you’ll be confident and productive using Spark with Scala in a variety of circumstances. Also, links to video screencasts of the author running examples and explaining tutorials are available from within the book.